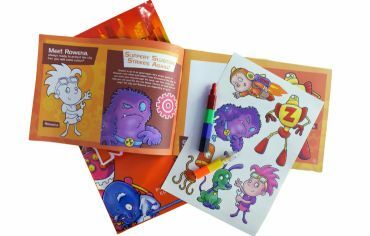 - Activity Packs | Children Activity Packs - Packme Ltd.
Packme create the complete activity pack, providing our clients with exciting packs that meet own brand visual guidelines. Entertaining & Educational - colouring books, crayons, games, puzzles & more - there are now TWELVE amazing designs in stock. For a limited time only, businesses are invited to trial our activity packs. With our cost-effective solution, you can try before you buy. Children's Activity Packs are a proven way to keep kids interested and educated whilst being out and about. Restaurants, cafes, waiting areas, trains, boats, planes, dentist, doctor’s surgeries they are something that can be easily used ANYWHERE & EVERYWHERE! Activity packs can be designed for any type of customer, from small independent brands and outlets, through to travel and household brands - we can design and brand activity packs which will promote your products/service while helping to keep the kids actively engaged and educated. Our aim is to help you design and create your dream pack and include all the little things that make it special! We work with many household brands ranging from the travel & leisure industry right the way through to national chains and independent restaurants – and with every customer we specialize in making your pack unique, including accessories that work best with your brand. What's in our Children's Activity Packs? Puzzles, games, colouring and little toys to take home! Our in house illustrated booklets will be found in every pack, alongside crayons to use on the puzzles and colouring sections, a sticker sheet and small toys like wallets and playing cards. For bespoke packs the possibilities are endless, but for off-the-shelf packs check out our shop now. Creating unique children’s activity packs to best fit your business. 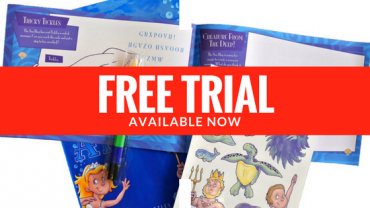 Our design team create Children’s Activity Packs specifically tailored to your business. We can follow your existing corporate branding or create something completely new with engaging characters and educational puzzles and games. We offer a comprehensive consultation and using story boards we can demonstrate to you a step by step presentation to guide you through our complete ideas and theme for your pack. Create something fun and interactive that kids will remember! Branded merchandise is a favourite of ours, as it is that little exclusive something that you design and include in your pack, so that children take it home and use it again and again, which promotes brand awareness. Collectable goodies are always a fabulous way to encourage repeat visits, as we all know, kids are very influential as to where a family chooses to dine out. We offer a comprehensive service from initial ideas, development, design to branding and distributing on all your merchandise requirements. 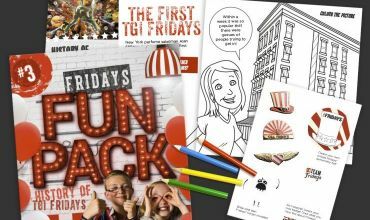 Packme are specialists at creating Children’s Activity Packs and work with many household brands from the travel and leisure industry through to national and independent restaurants. We design and produce every element from the bag, box or pack that hold the contents to the toys, games, puzzles and accessories inside. All created to support your brand or campaign and by using the educational principals of learning, we have everything covered! We also stock an exciting ‘off the shelf’ range for smaller users. Our commitment to a personal approach and successful partnership makes Packme the ideal choice for all your Children’s Activity Packs and Branded Merchandising. We know that Packme will help you to create something rather special.